It used to be that most organizations fundraising for charity had to do so the old fashioned way, whether that be by direct (snail) mail, specific events, or in person solicitations. These were all methods which could be very successful, but these methods were also exceptionally inefficient and very time consuming. In the age of web 3.0 and the power of social media, and with the help of new crowdfunding platforms, this has all changed. The innovative leap which is occurring now means that non profit organizations no longer have to worry about wasted postage and futile meetings. The donors are now seeking you out, or it is at least much easier to get your message out at a fraction of the cost. 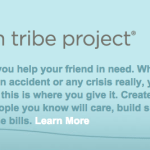 Today any charity has the potential to raise more money more efficiently using crowdfunding. The cause or size of campaign are not necessarily the driving factors as these applications are available to all. Sure, a larger staff and bigger resources is always better, but now your social reach can be turned into social currency, driving funds to your charitable organization. 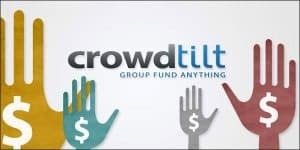 CrowdTilt, a crowdfunding site up for a Crunchie award this year as the best start up, allows you to crowdfund anything. They consider themselves the best way to pool money for a common cause online. Large or small, CrowdTilt has helped over 25,000 people pool their funds for weddings, gifts, eduction, medical help… just about anything. The only requirement is a group of friends or acquaintances willing to fund your cause. Indiegogo also up for a Crunchie this year, is one of the largest crowdfunding platforms in the world. Both large and small campaigns occur every day. 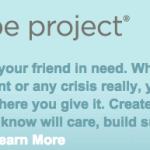 Indiegogo provides a category called “Verified Non Profit” to help identify but also ascertain the cause is reputable. Browsing through their various campaigns quickly proves the diversity of causes being supported on their platform. 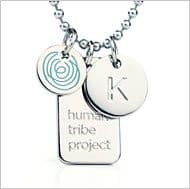 At a more personal level, Human Tribe Project has created a platform where individuals or families may create their own campaign to support a family member or friend in need. This platform has quickly evolved as more and more stories have been reported in the press about people finding help during times of medical crisis. Funds are delivered directly to the individual in need. having raised over $135 Million for 16,000 non profits across the country in 2012. 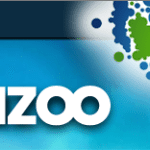 Any charitable organization may create a campaign in minutes with their simple application. GoFundMe is an excellent do it yourself (DIY) crowdfunding site for any donor campaign. Their section on “amazing success stories” cleverly illustrates how this site creates an environment for communities to support one another via the generosity of friends, families or complete strangers. GoFundMe has created an environment where ordinary people can accomplish extraordinary objectives. 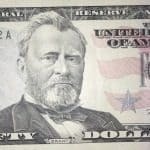 Fundrazr is a site that has recently been in the news with the HelpAsh.org. Fundrazr has been utilized to crowdfund aid in the medical expenses for Ashley Moser, who was severely injured in the Aurora Colorado shooting tragedy. Fundrazr touts their deep social media integration, something important for any crowdfunding campaign, which makes it easier to get your project noticed and engage supporters. Lymphoma Research. That’s right, 100%. Another targeted site is Sponsorcraft. The UK based site is the Crowdfunding platform for everyone involved in education. They are currently live in 7 countries and expanding rapidly. 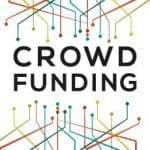 While these are just a few examples of possible crowdfunding sites for your charity or non profit, every successful campaign will possess several identifiable characteristics for success. First, each will target a compelling need. Second, each will have a community of supporters which you can access using social media. 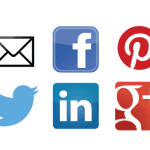 You must leverage the power of Twitter, Facebook, Google+, LinkedIn, etc. to engage the community you are targeting. If you are a small organization, start by building your audience prior to launching your campaign. It may seem daunting at first, but building social reach for a good cause using social media will generate rewards for years to come. Use an email marketing tool to manage your email list and updates for your project. Many can be utilized effectively for free or a small fee. Communicating with your supporters is an imperative. Remember that each committed funder can reach, via social media, an exponential number of potential supporters. Short videos can really help. 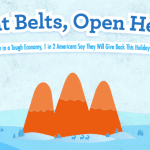 Data from Indiegogo indicates that videos less than 5 minutes raised more money. Keep it concise and to the point. Best of luck! 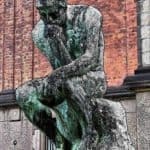 This entry was posted in Featured Headlines, Investment Platforms and Marketplaces, Strategy and tagged charity, crowdtilt, fundrazr, gofundme, human tribe project, indiegogo, non profit, pledgeit, razoo, sponsorcraft, tactics. Bookmark the permalink.